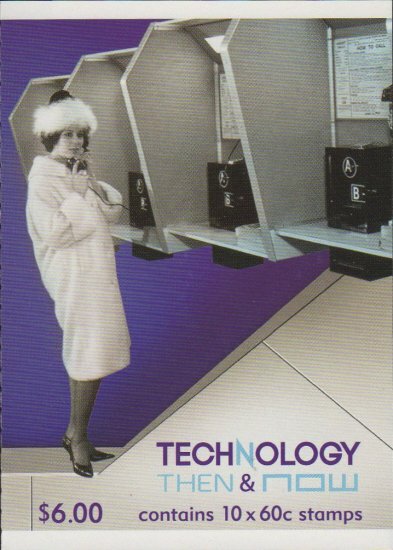 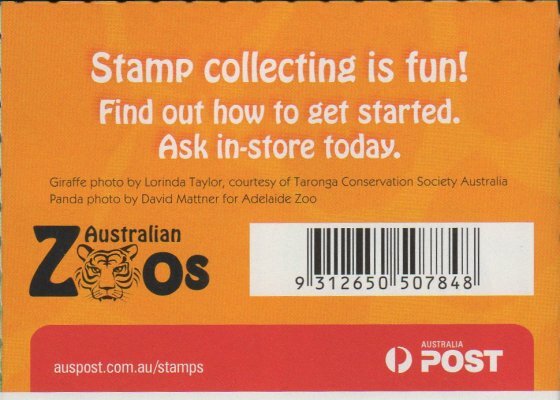 There were General barcode and Philatelic barcode versions of this booklet. 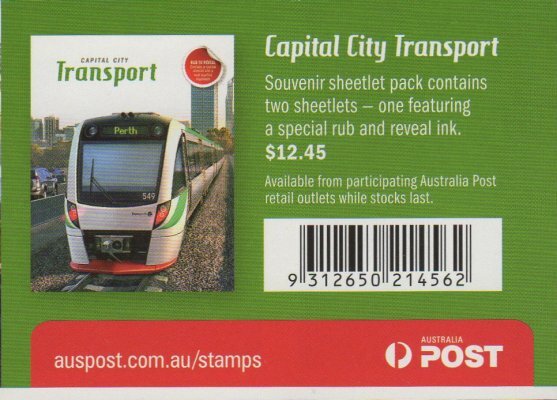 There were three overprints available for this booklet. 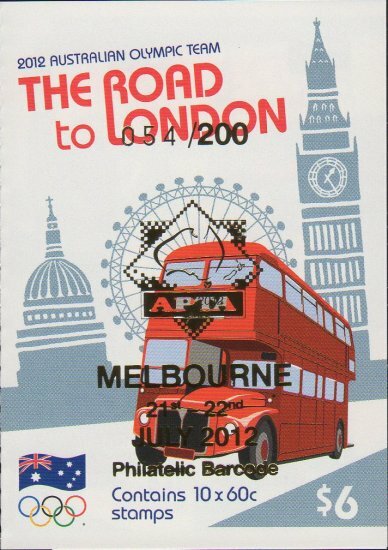 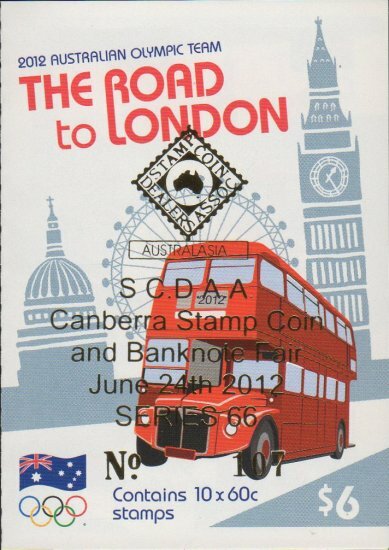 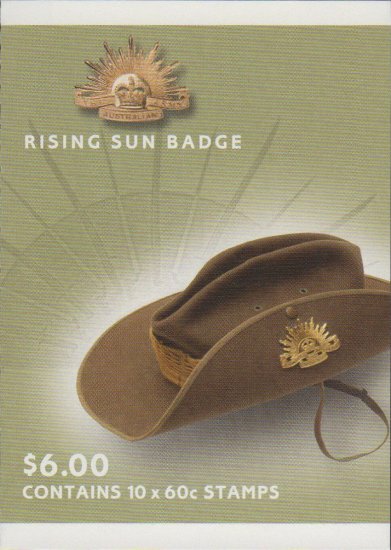 They were OPBCC Punchbowl Stamp & Coin Fair (both Barcodes), APTA Melbourne (both barcodes), & Earlwood 2012 (Philatelic barcode). 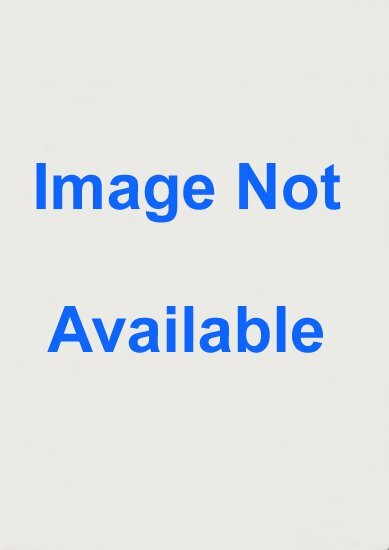 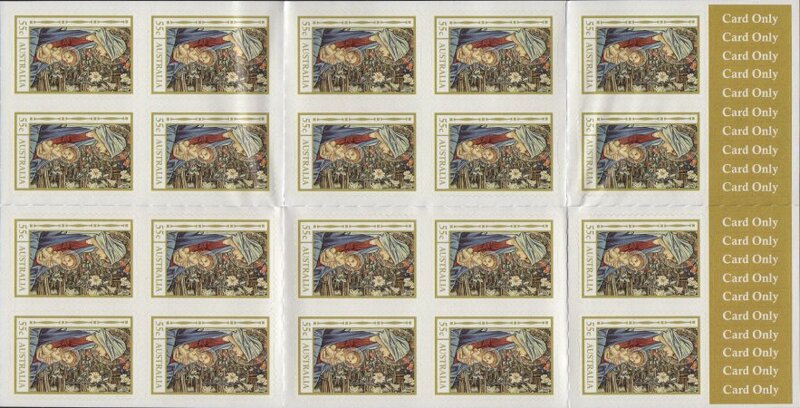 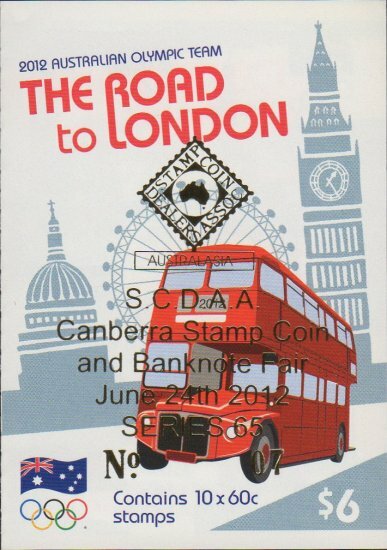 It is believed that there may also be an overprint from Milcopex 2012. 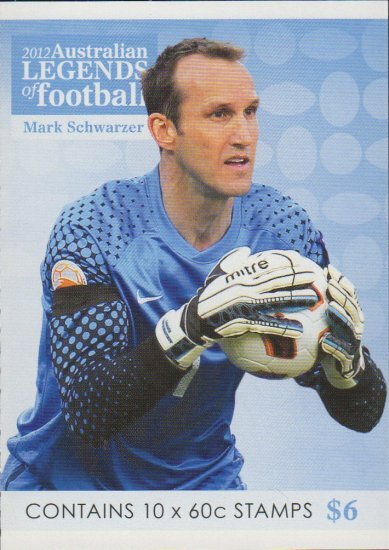 There were no overprints available for this booklet. 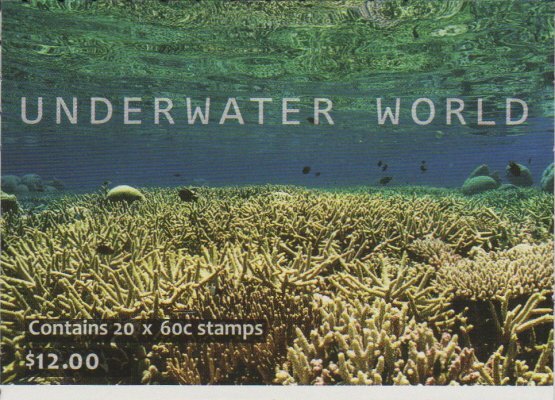 There was one overprint available for this booklet. 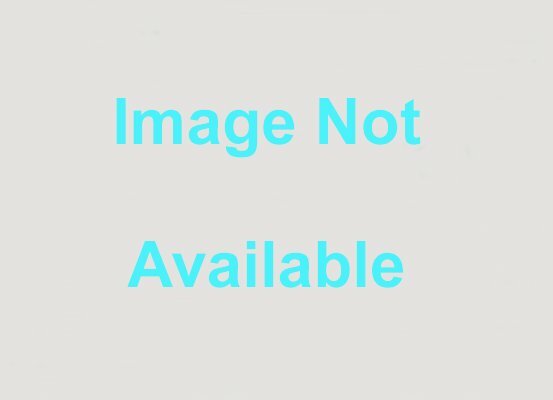 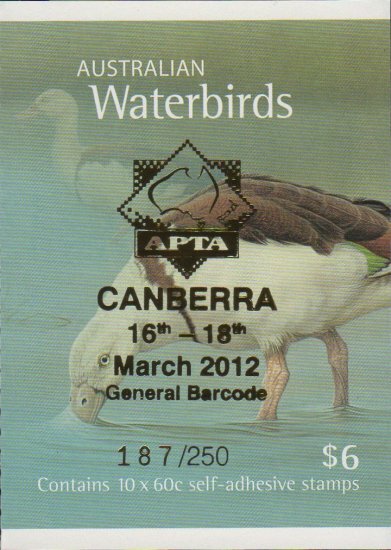 It was APTA Canberra (both barcodes). 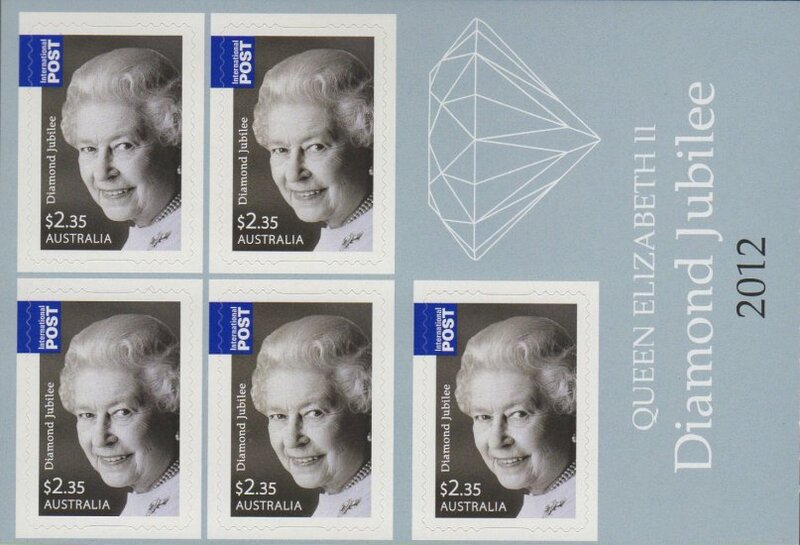 There were four overprints available for this booklet. 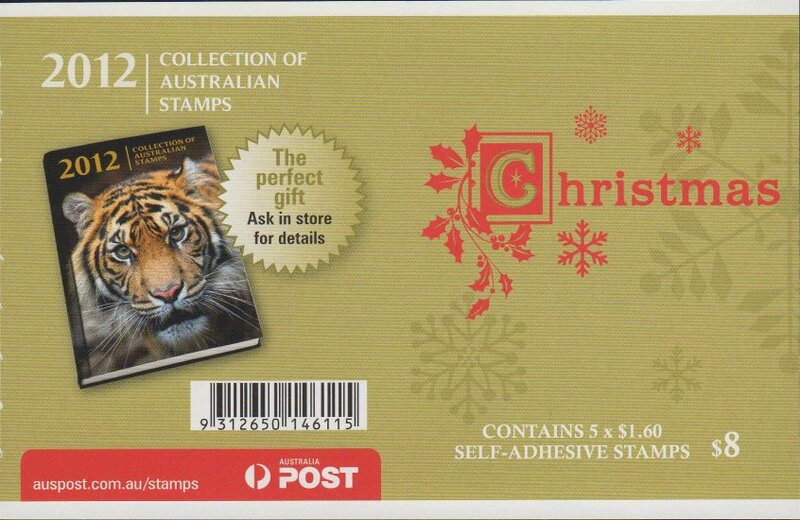 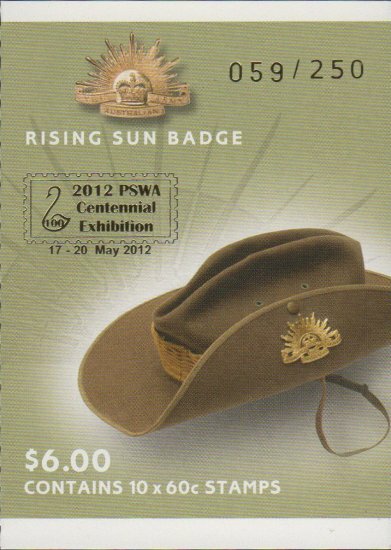 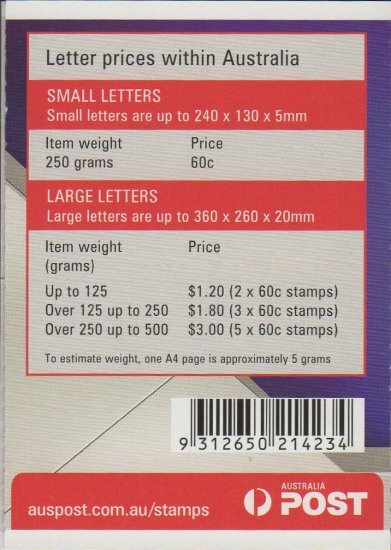 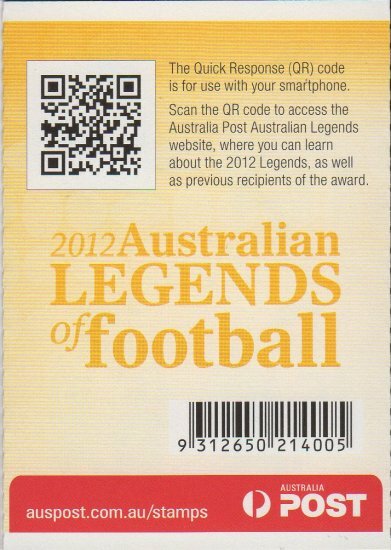 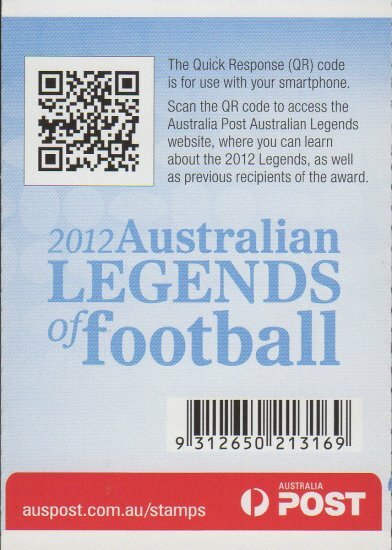 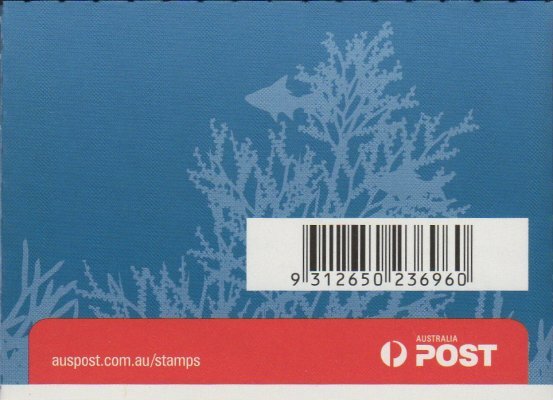 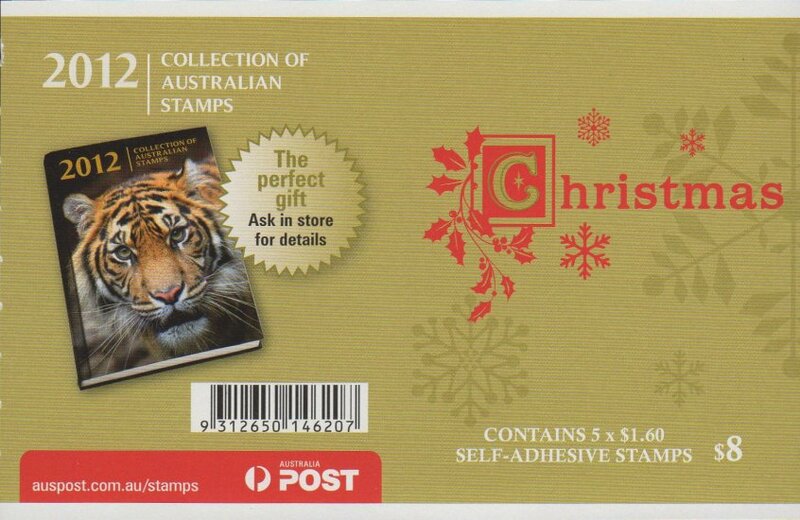 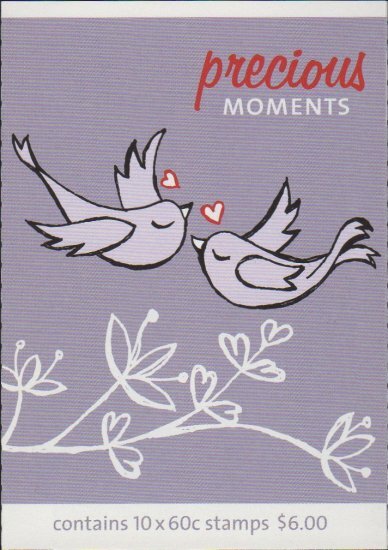 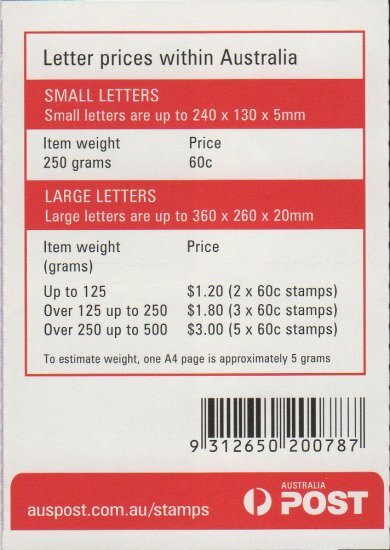 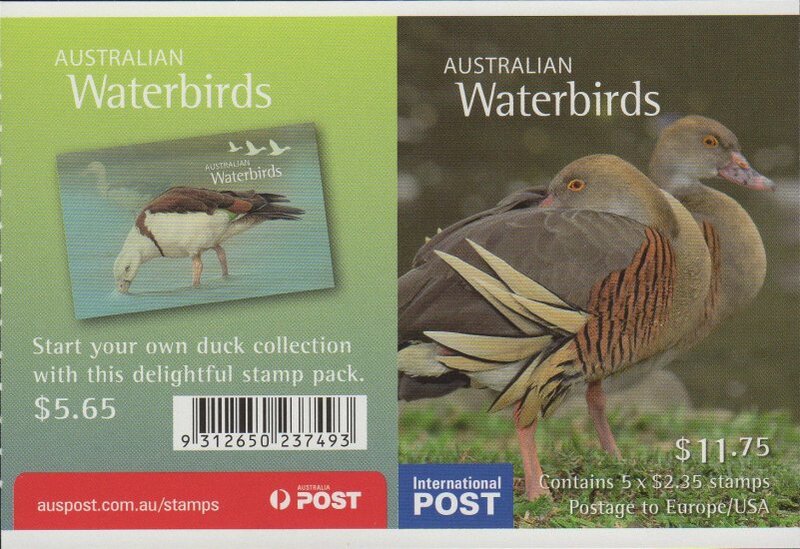 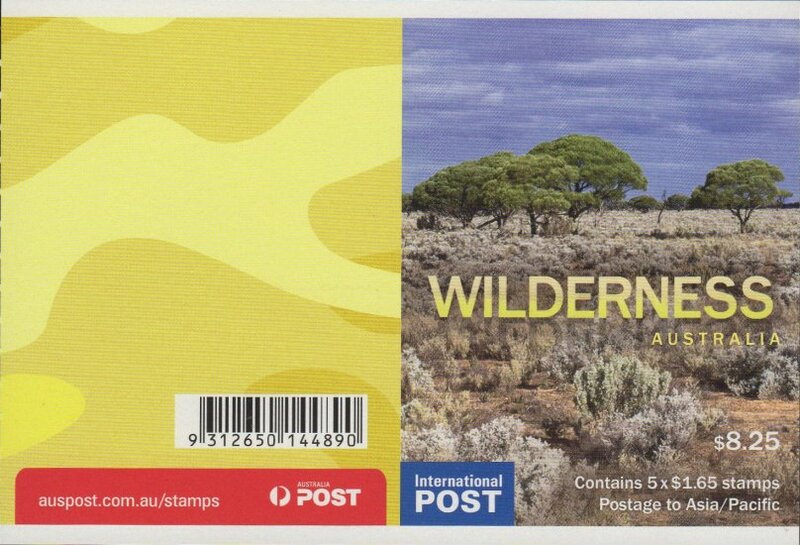 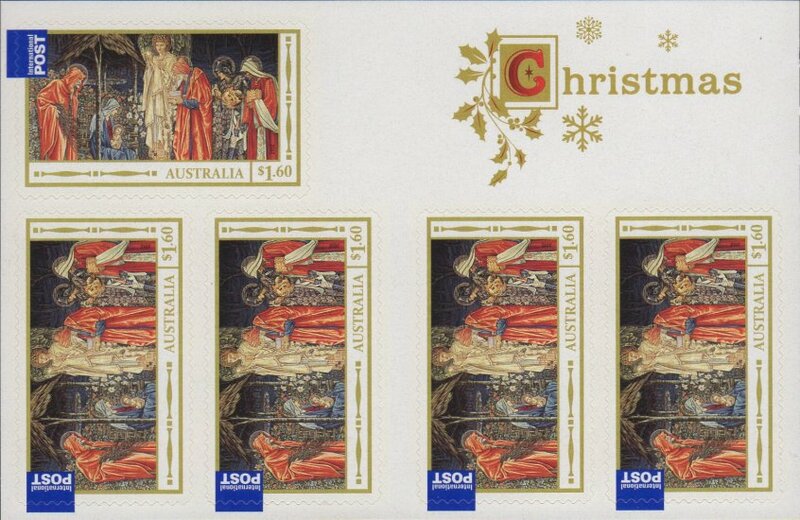 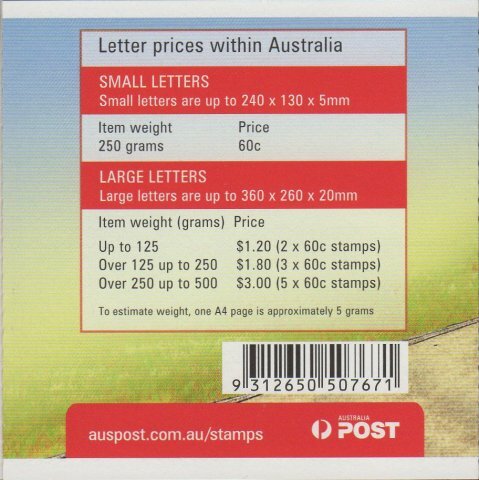 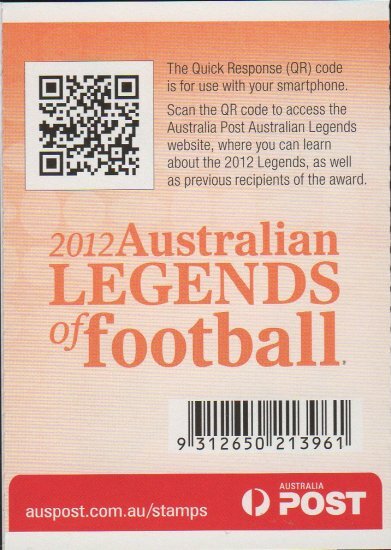 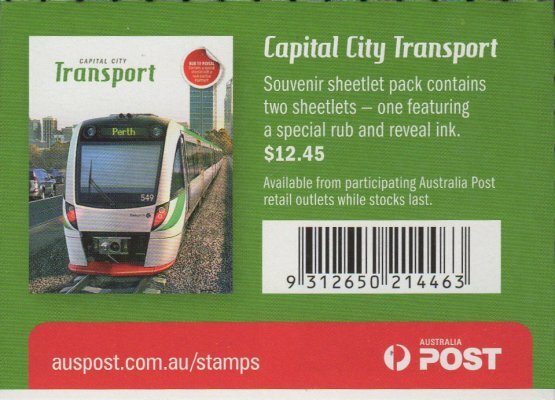 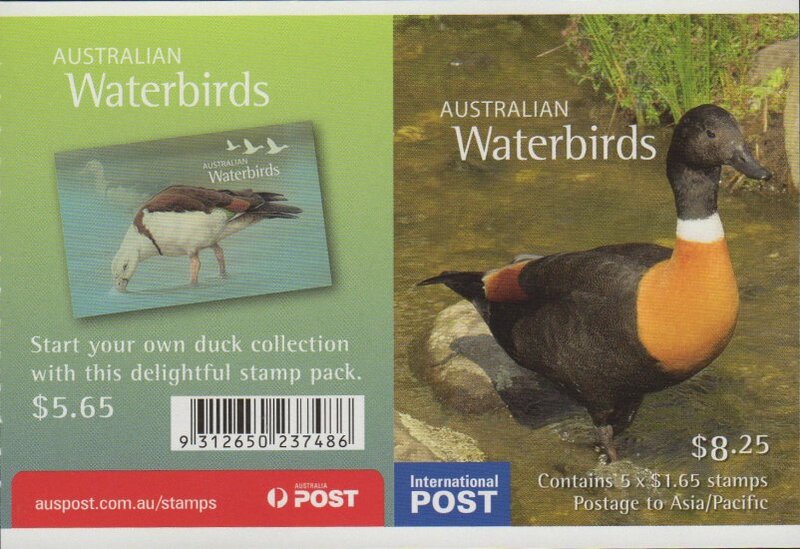 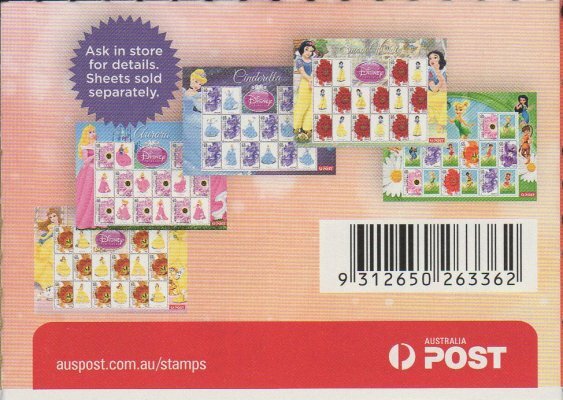 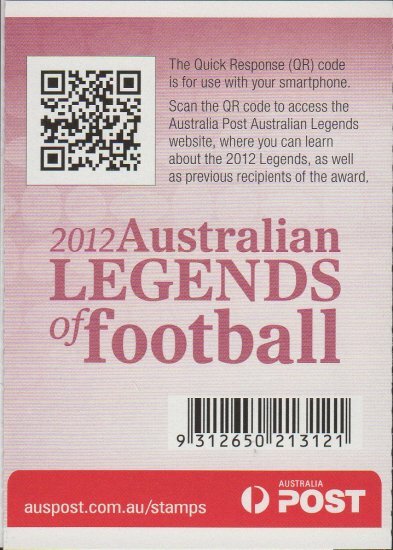 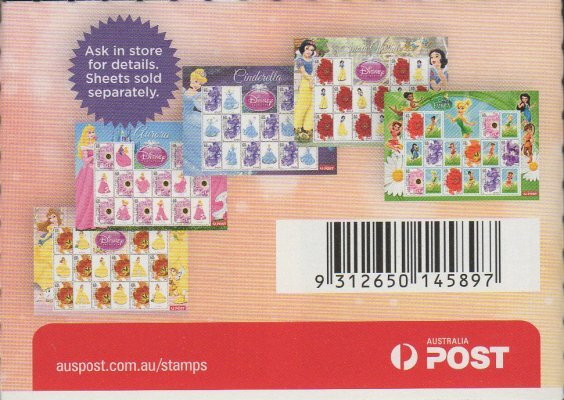 They were 2012 PSWA Centennial Exhibition (General Barcode), Hurstville Salvation Army (both barcodes), Fisher's Ghost Festival (Philatelic barcode) and Australia World Stampshow (General barcode). 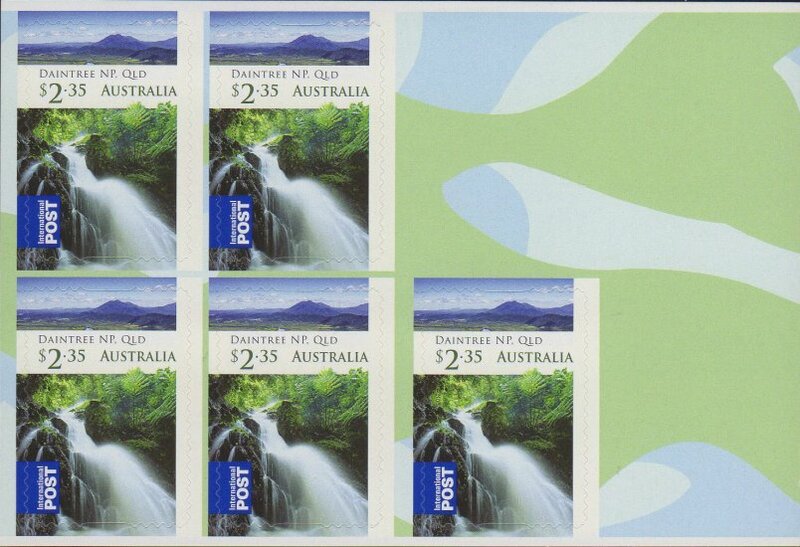 There were four overprints available for this booklet. 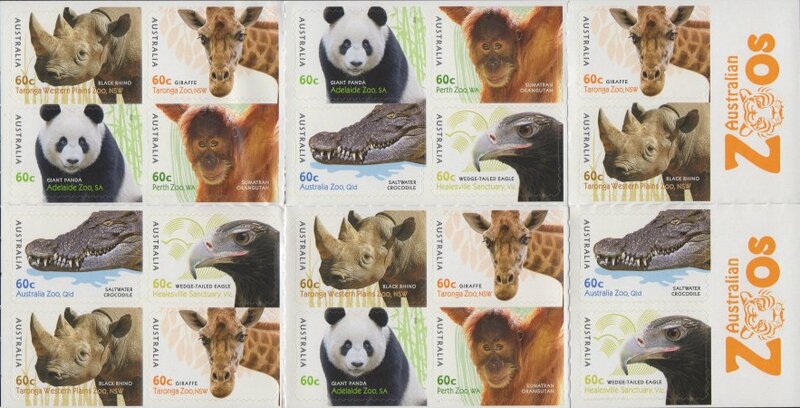 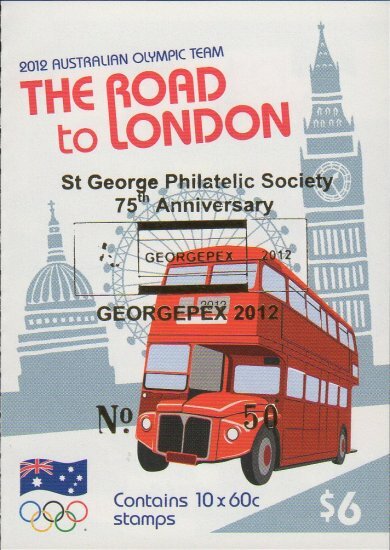 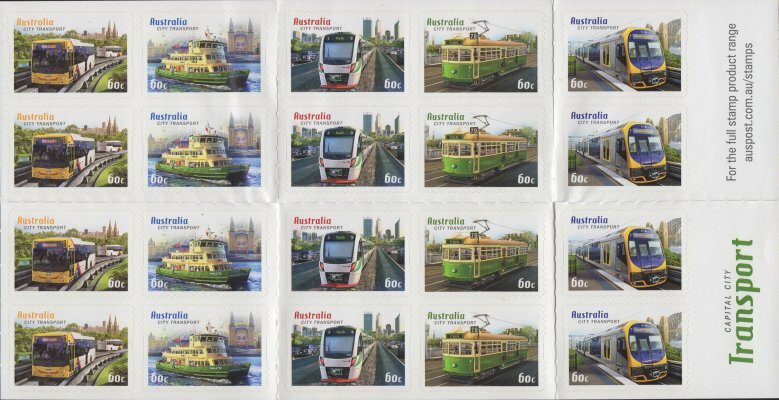 They were SCDAA Series 66 (Philatelic barcode), SCDAA Series 65 (General barcode), APTA Melbourne (both barcodes) and St George Philatelic Society (both barcodes). 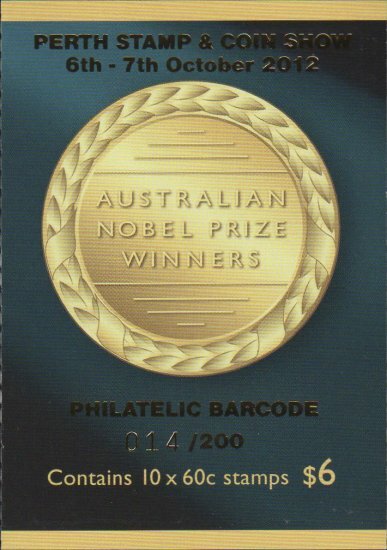 The Philatelic barcode version was reprinted. 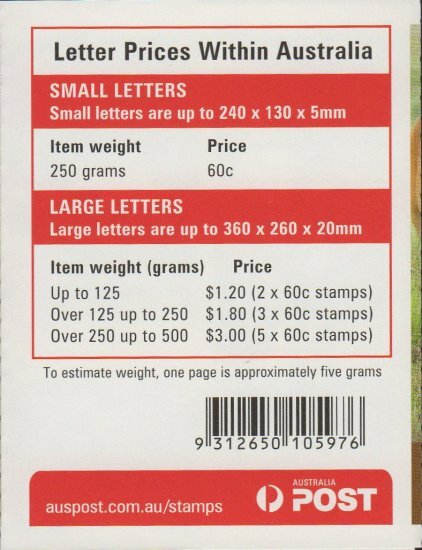 This booklet has a 1 Koala symbol on the inside. 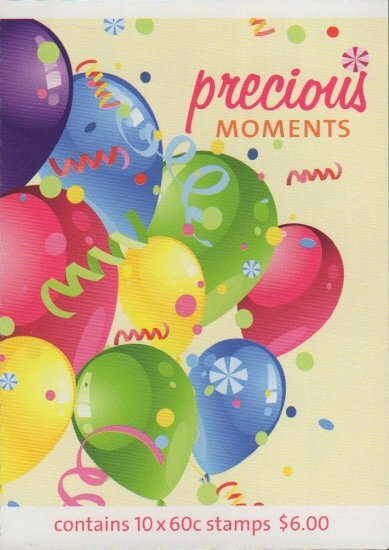 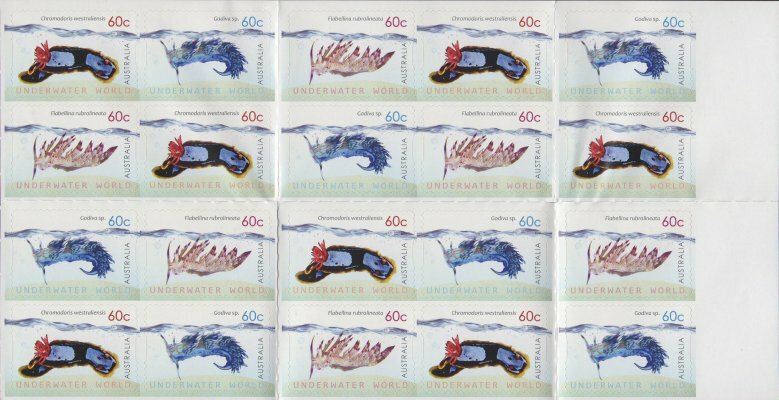 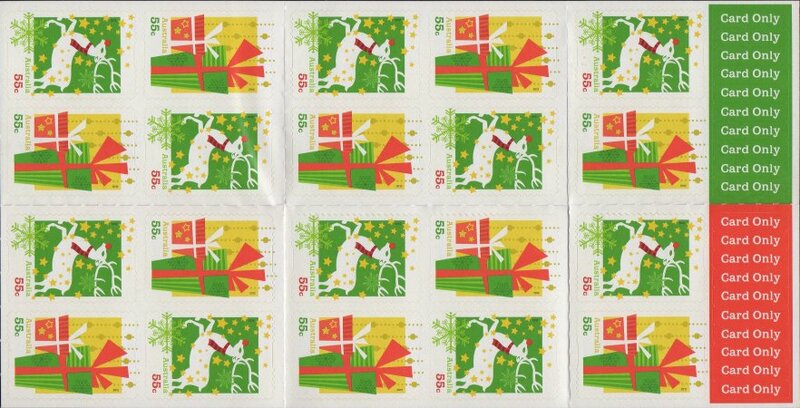 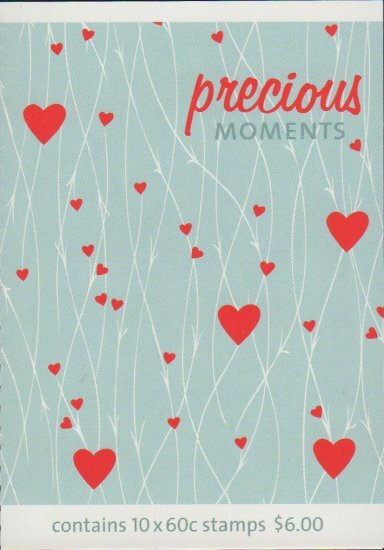 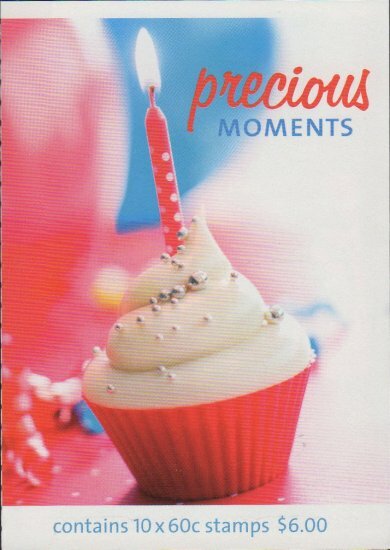 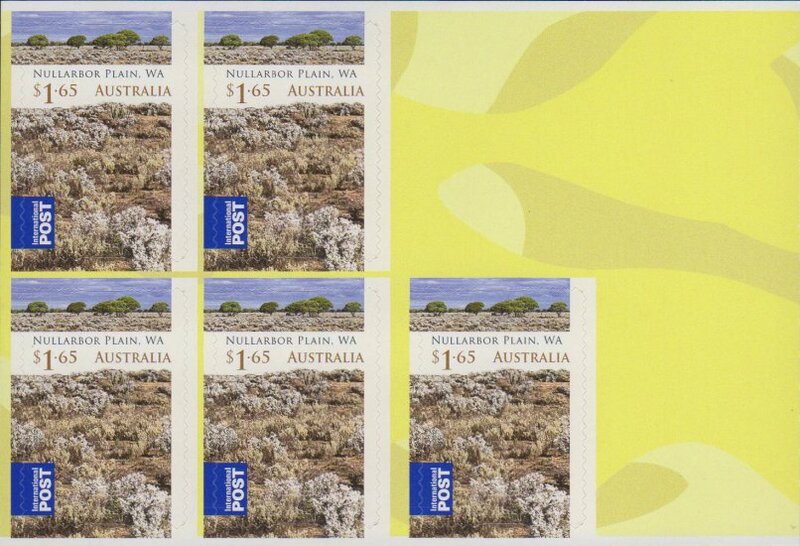 There were five overprints available for this booklet. 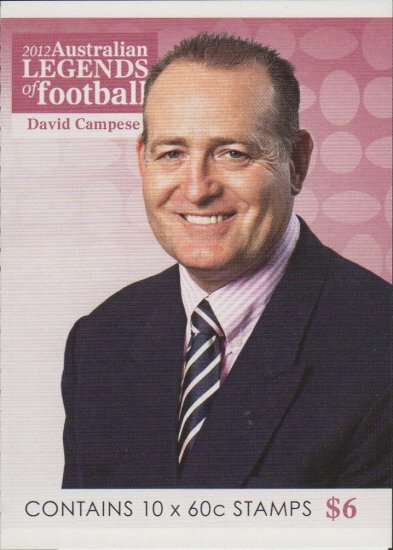 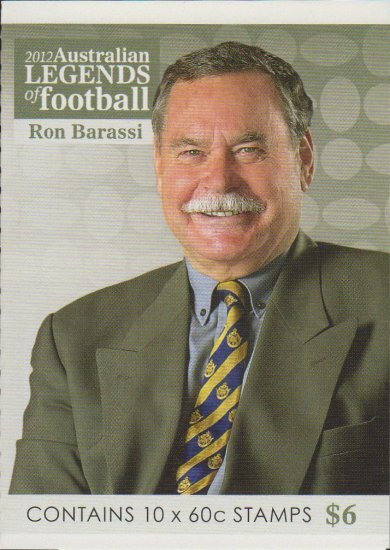 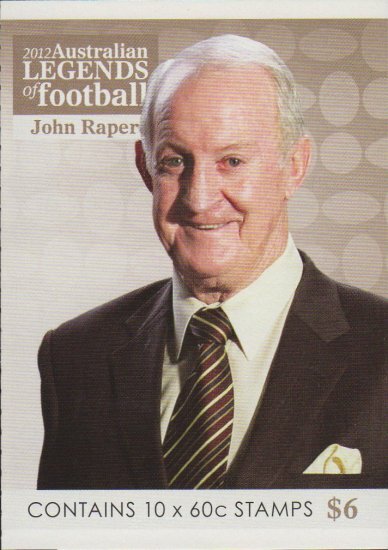 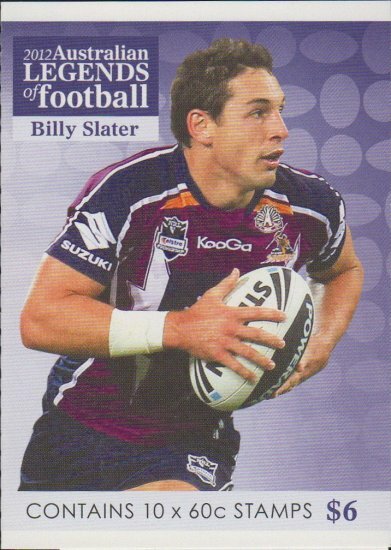 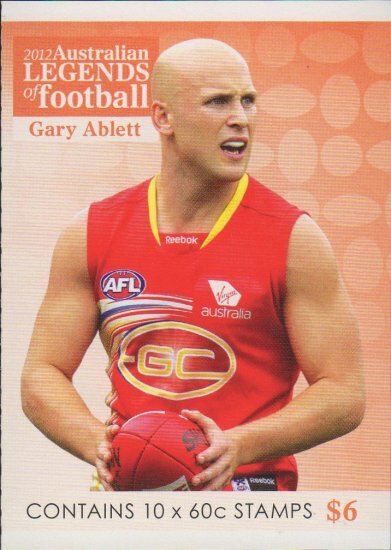 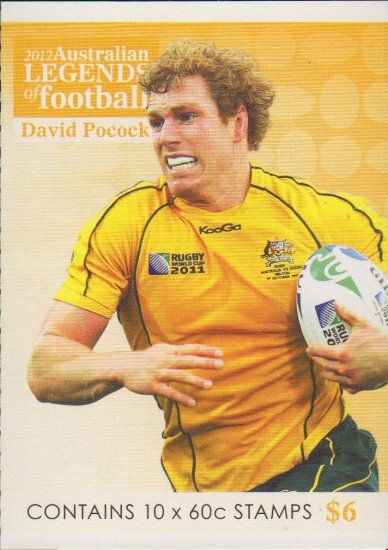 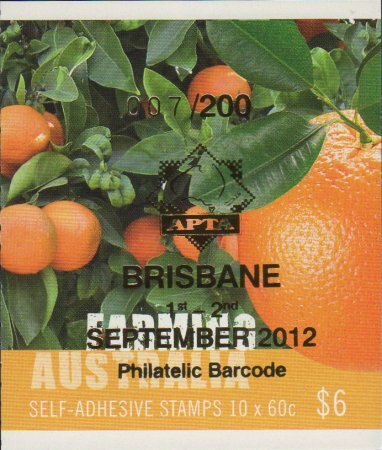 They were SCDAA Series 68 (Philatelic barcode), SCDAA Series 67 (General barcode), APTA Brisbane (both barcodes), St George Philatelic Society (both barcodes) and Queensland 7 Straight Wins (both barcodes). 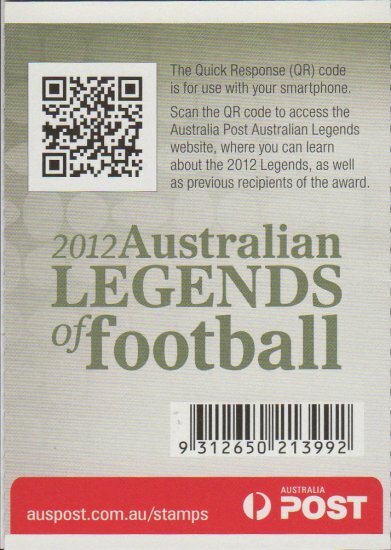 Both barcode versions were reprinted. 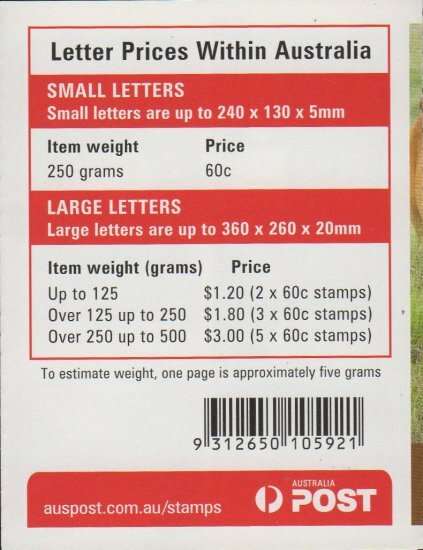 These booklets have a 1 Koala symbol on the inside. 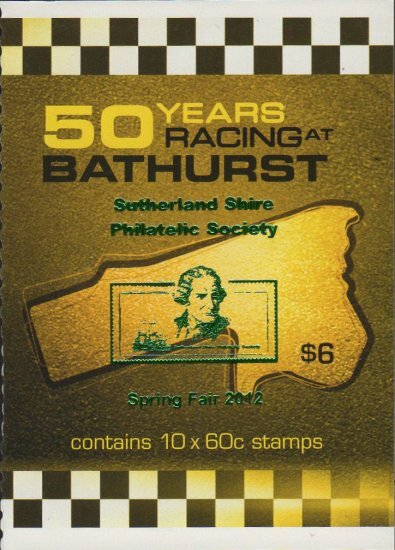 There was one overprint available for this booklet. 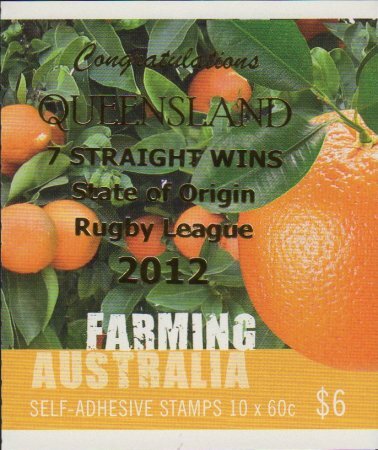 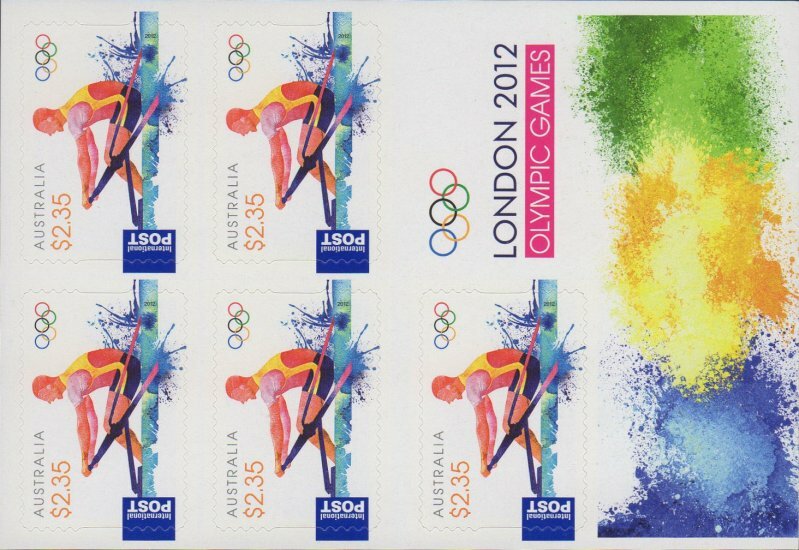 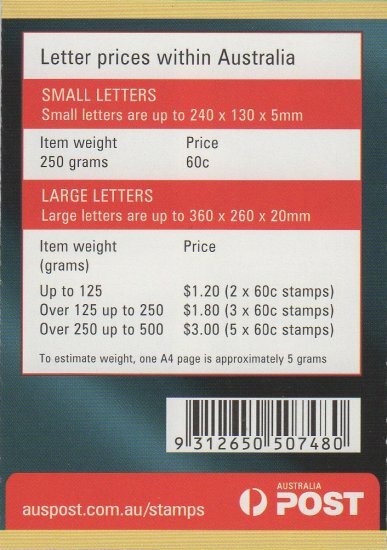 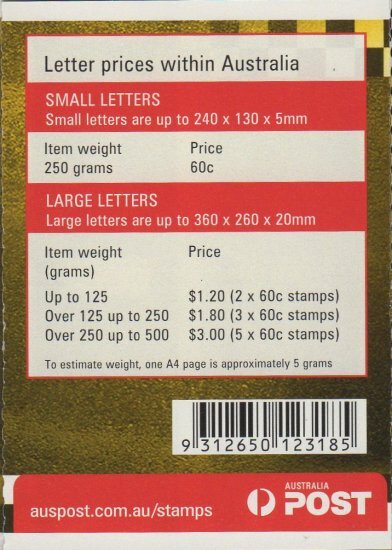 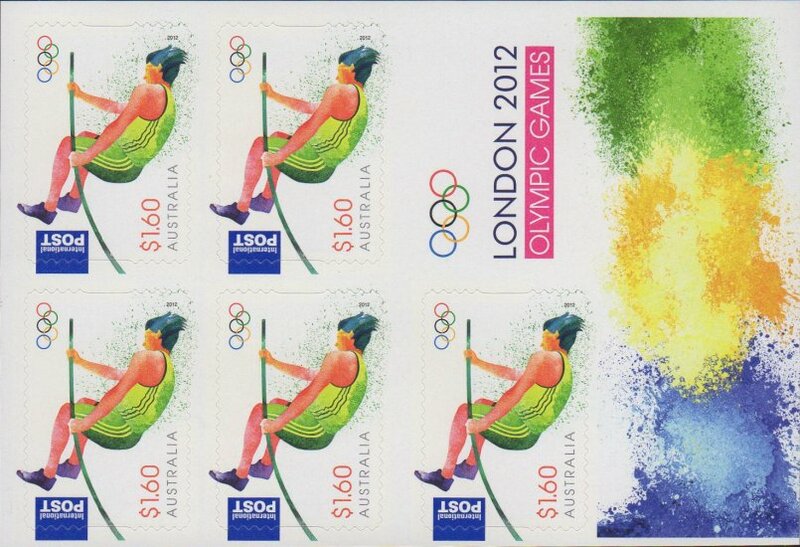 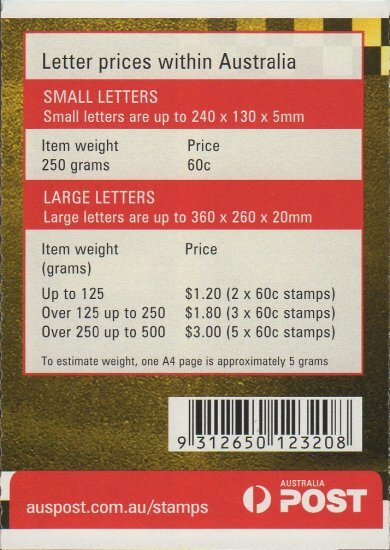 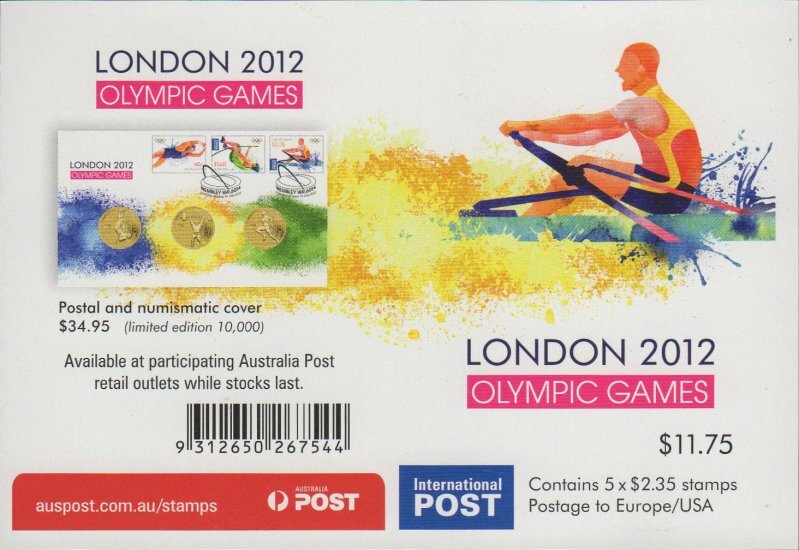 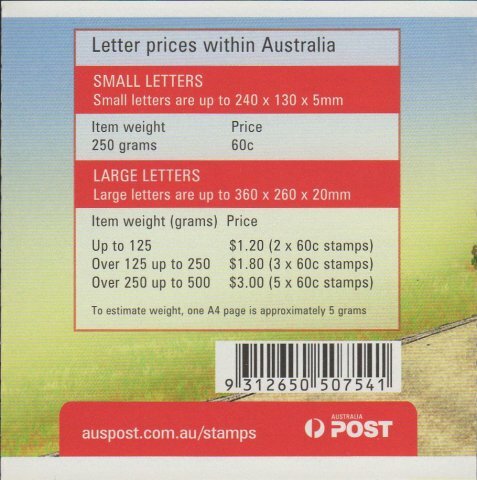 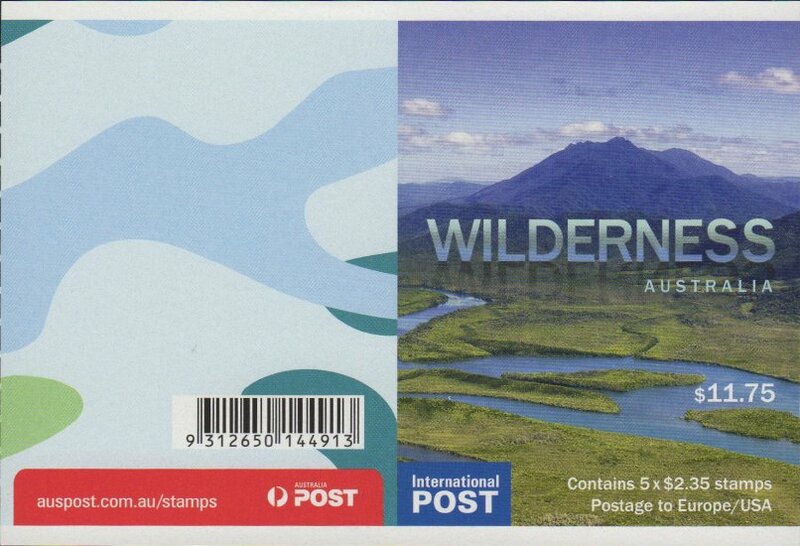 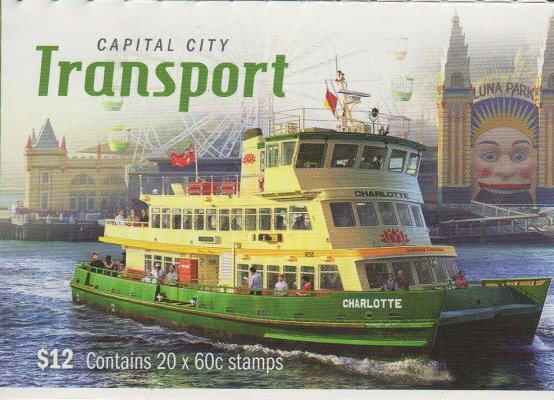 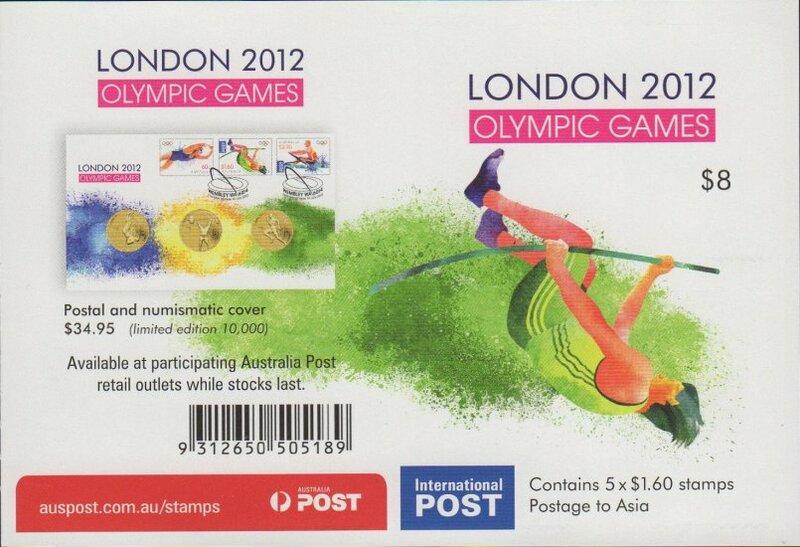 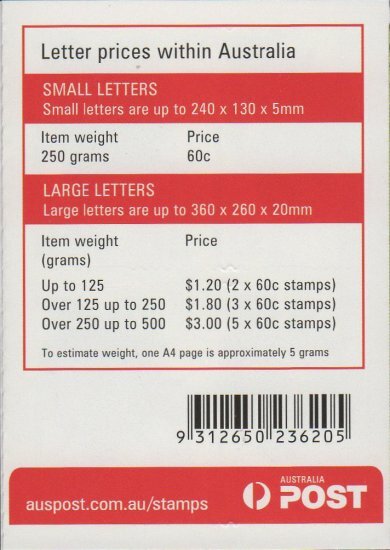 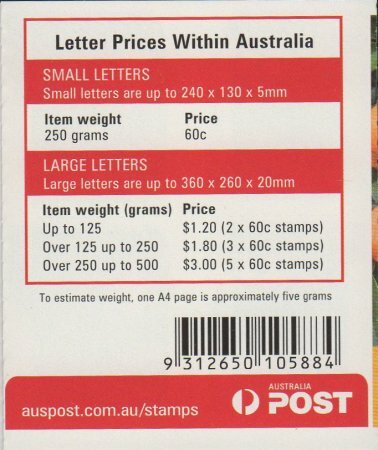 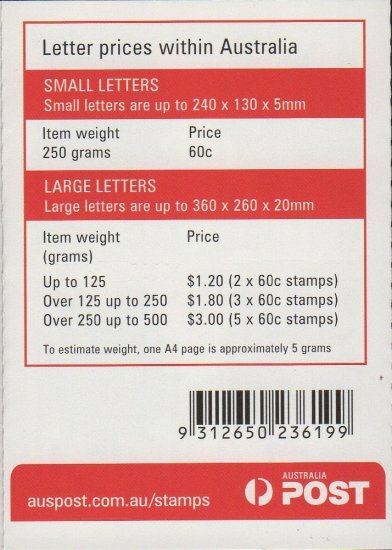 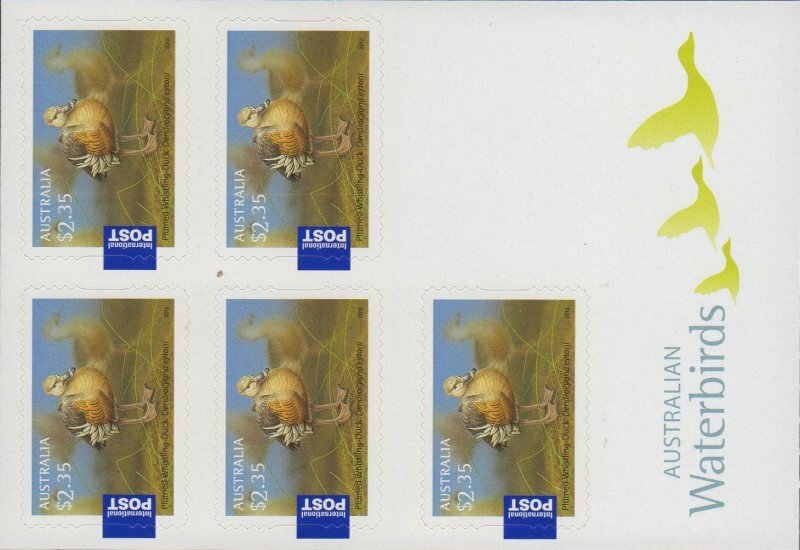 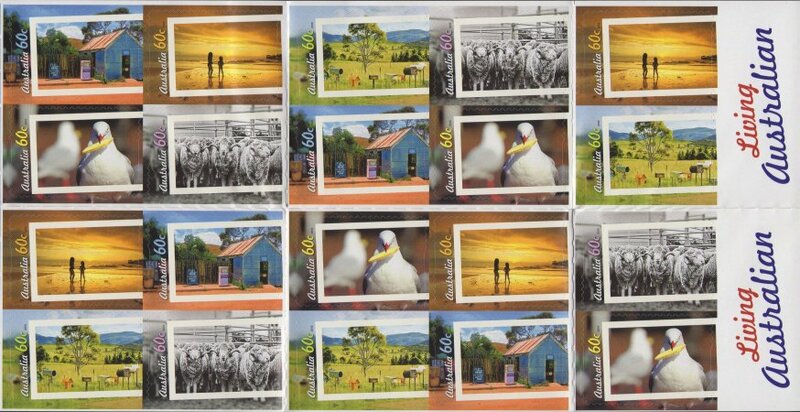 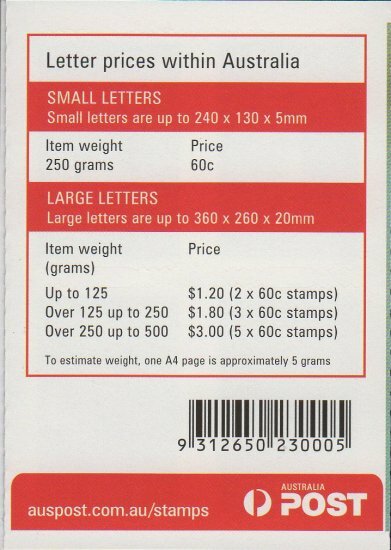 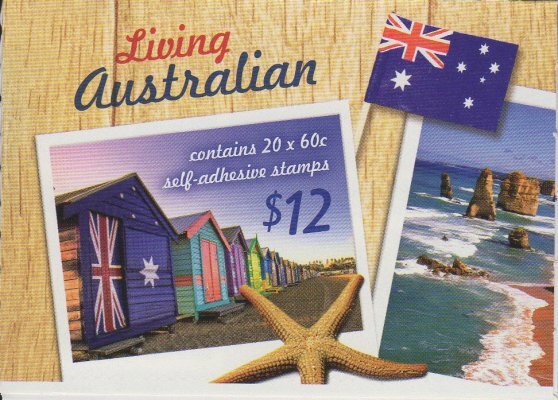 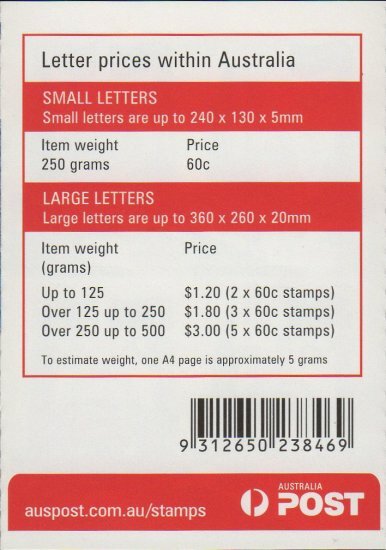 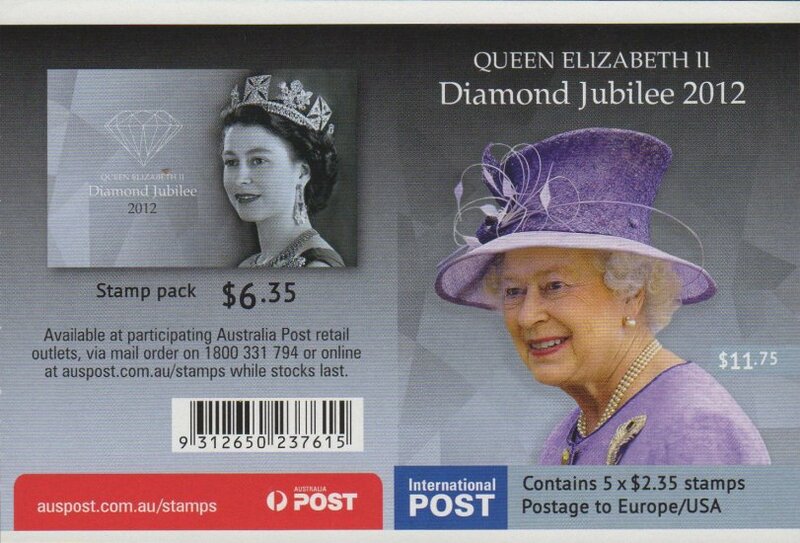 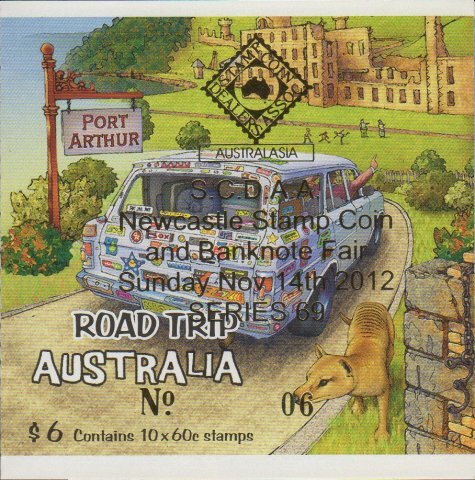 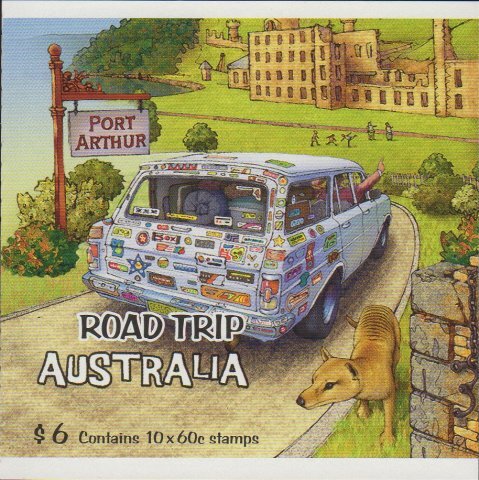 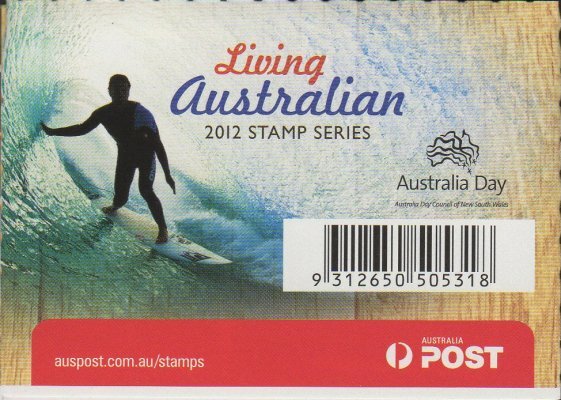 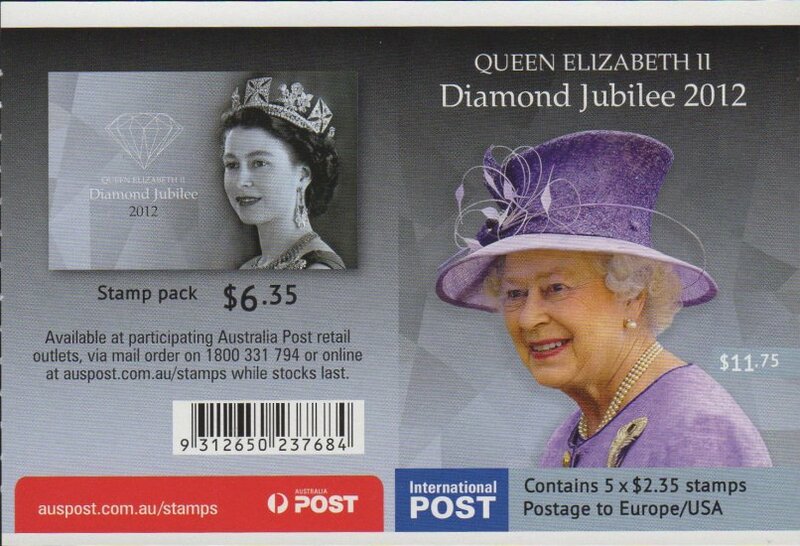 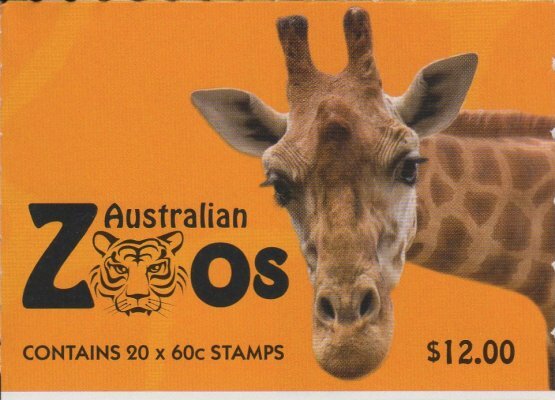 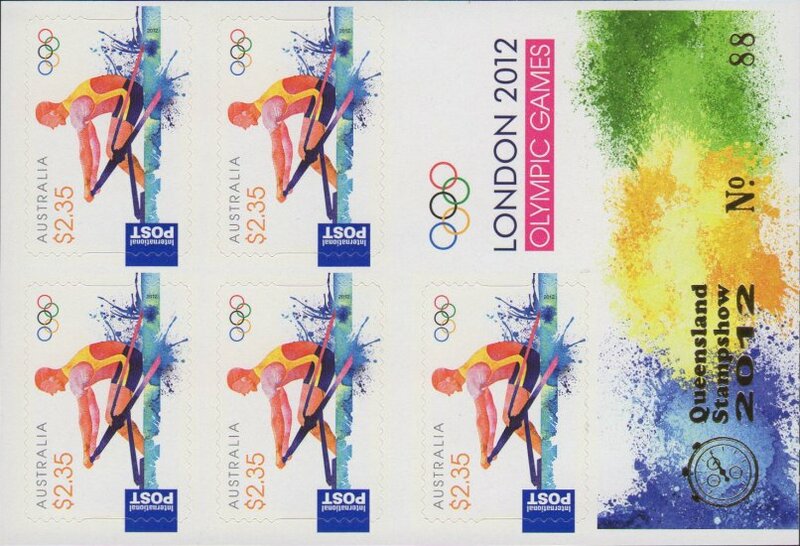 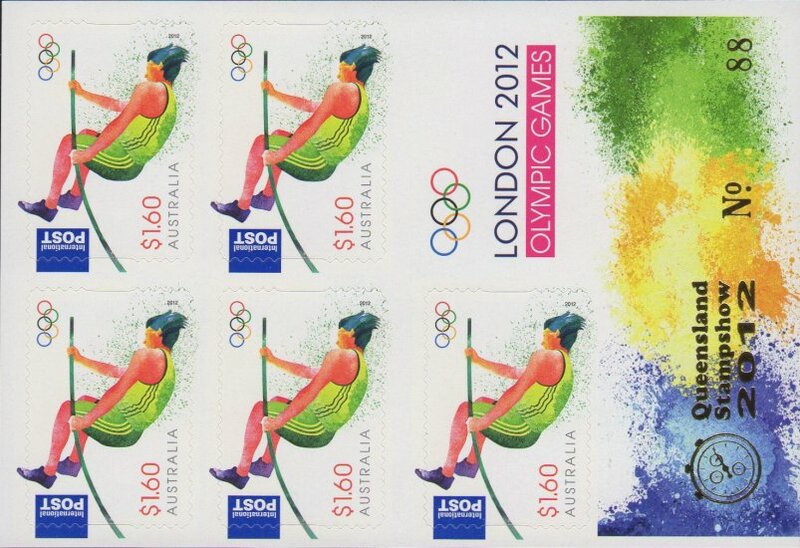 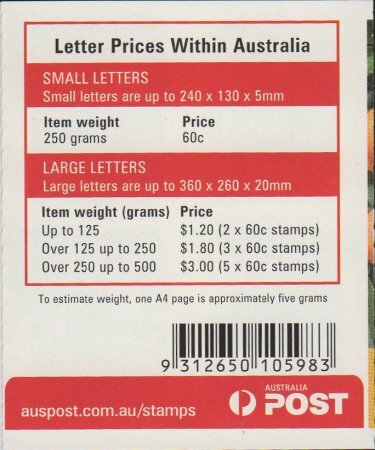 It was Queensland Stampshow 2012 (Philatelic Barcode). 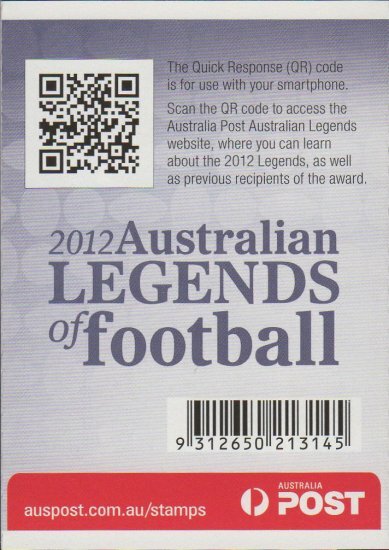 There was one overprint available for this booklet. 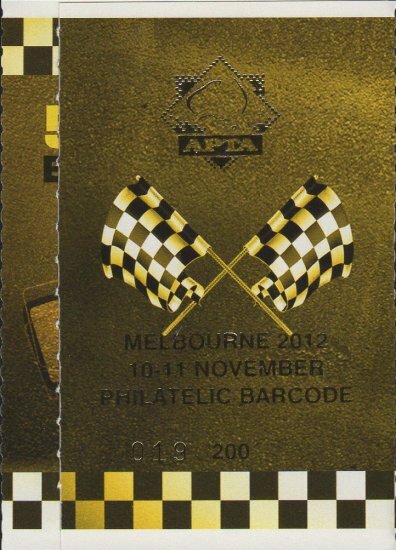 It was APTA Perth (both barcodes). 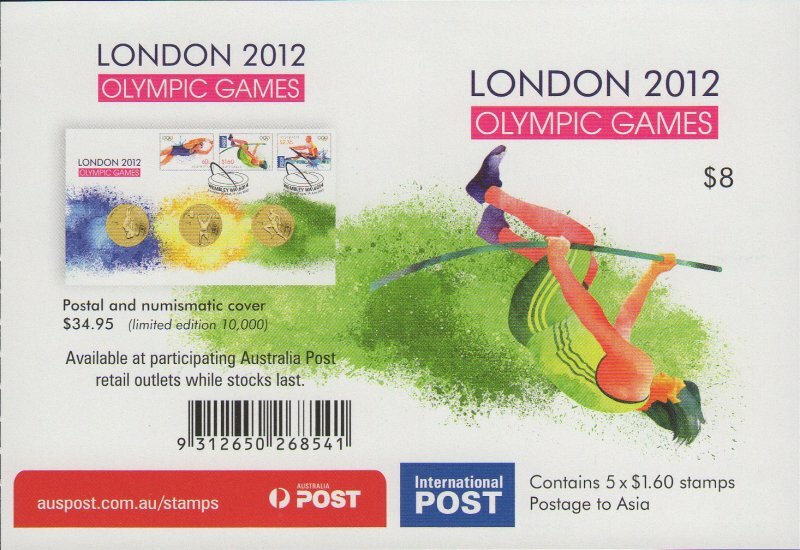 There were two overprints available for this booklet. 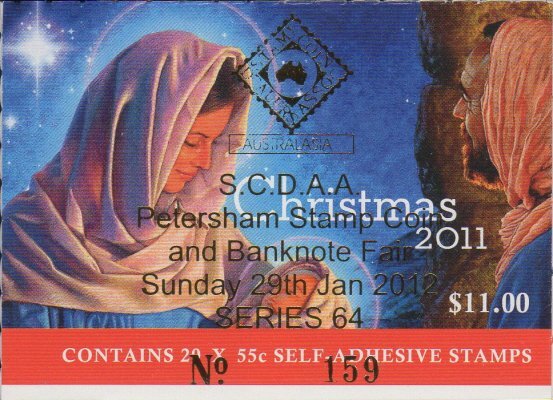 They were SCDAA Series 70 (Philatelic barcode) and SCDAA Series 69 (General barcode). 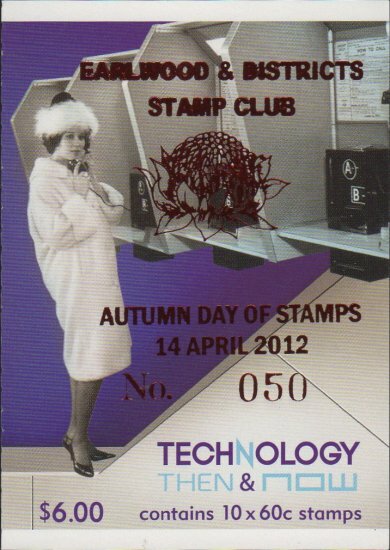 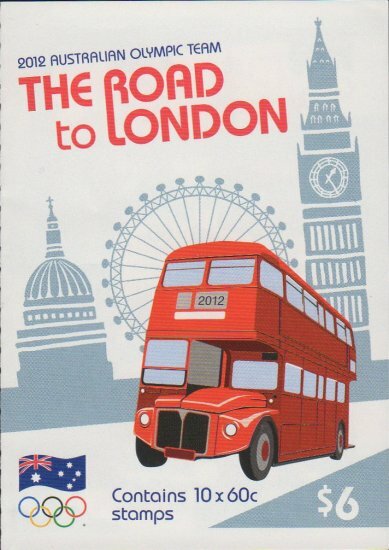 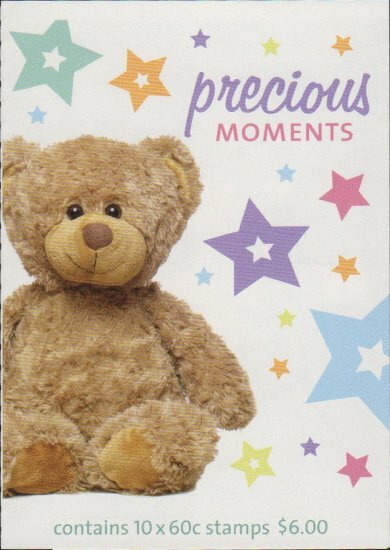 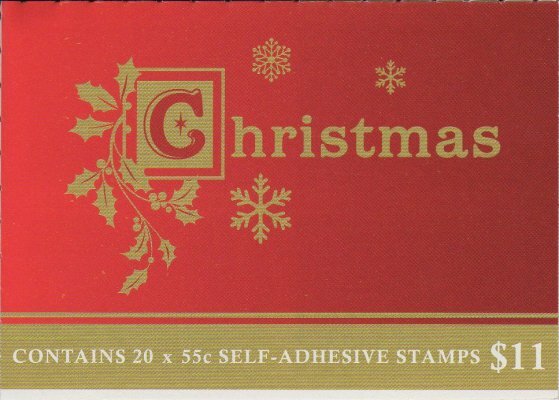 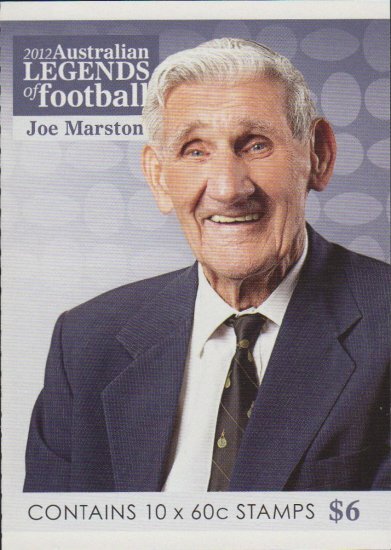 There was only a Philatelic barcode version of this booklet. There were two overprints available for this booklet. 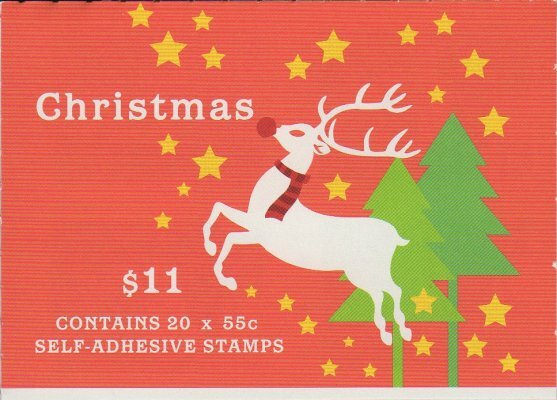 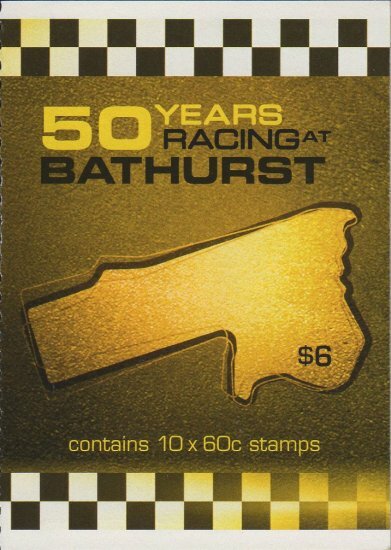 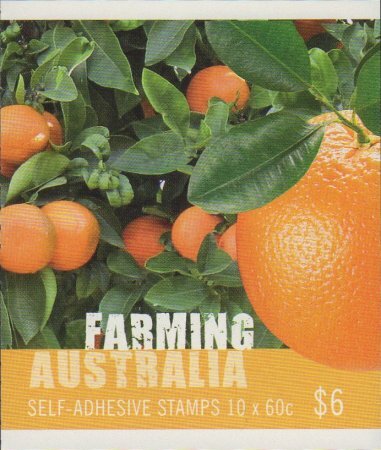 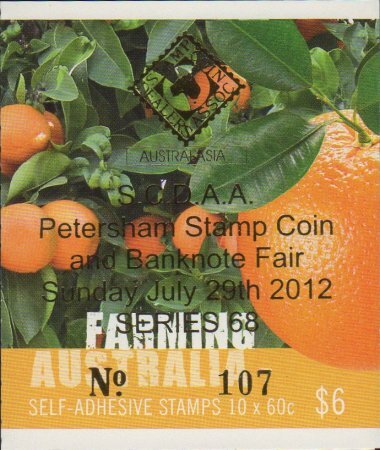 They were Sutherland Shire Spring Fair (General barcode) and APTA Melbourne (both barcodes), with the overprint being on the inside flap. 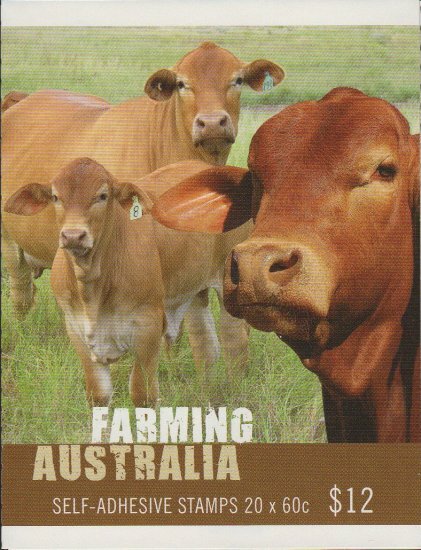 Sutherland Shire Spring Fair (General barcode) APTA Melbourne (both barcodes). 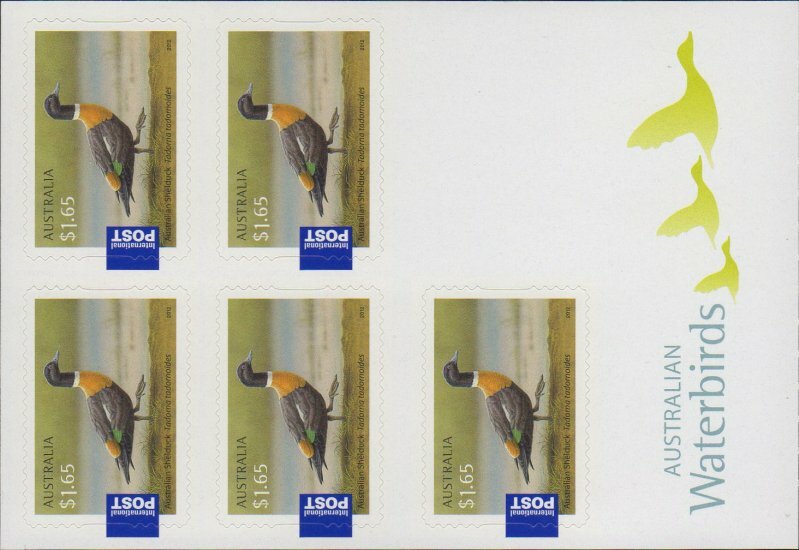 O/P on Flap. 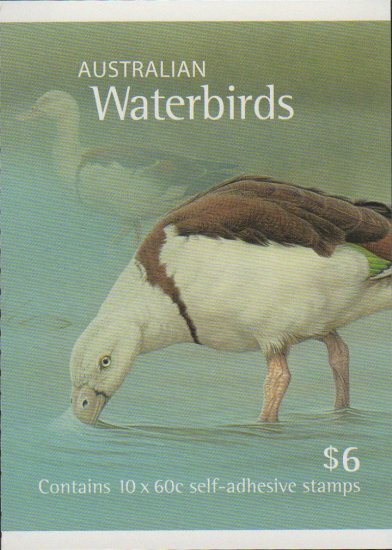 There was one overprint available for this booklet. 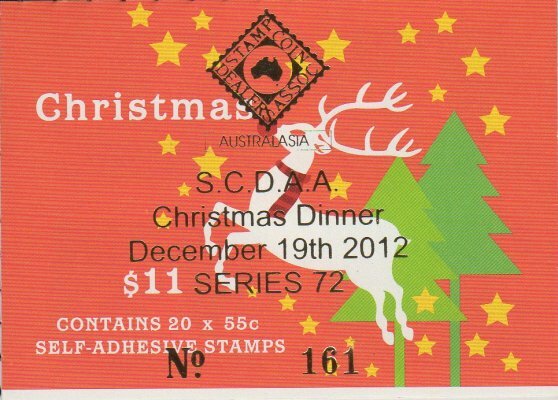 It was SCDAA Series 71 (Philatelic barcode). 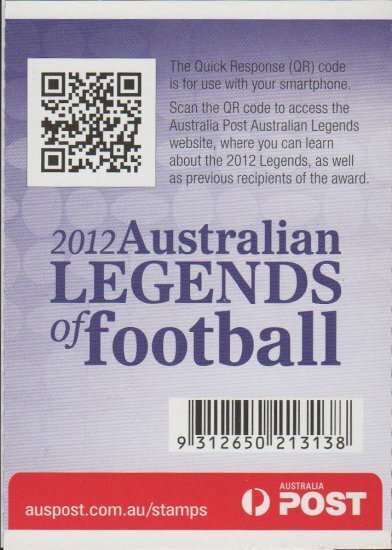 There was one overprint available for this booklet. 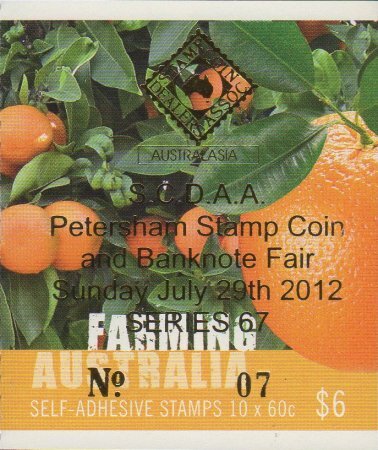 It was SCDAA Series 72 (Philatelic barcode).